Plots with full planning permission for detach 4 bdrm dwellhouses. Services available. Prices over £82,000 Entry by arr. Viewing contact solicitors. 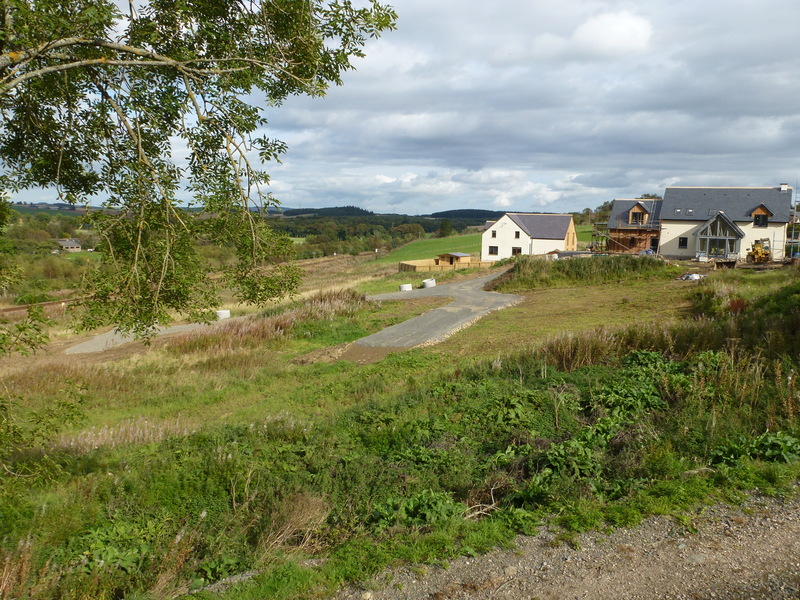 We are delighted to offer for sale, beautifully situated RESIDENTIAL DEVELOPMENT OPPORTUNITIES enjoying an attractive semi-rural position in the hamlet of Kirkton of Oyne, Inverurie. Situated in an area of ongoing new development, and adjacent to properties currently under construction to a very individualistic style and high standard, the sites are easily accessible, from the B9002 road and in turn, the A96 main trunk road. 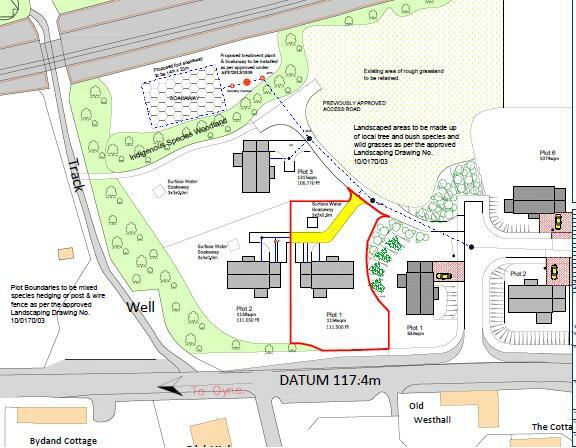 These attractively situated development sites have full planning permission for the erection of a detached, four bedroom dwellings, which would provide a spacious, comfortable family homes. The properties will benefit from four double bedrooms, large living spaces, including a spacious dining kitchen, sun lounge and will have private parking, garaging and exclusive garden grounds. 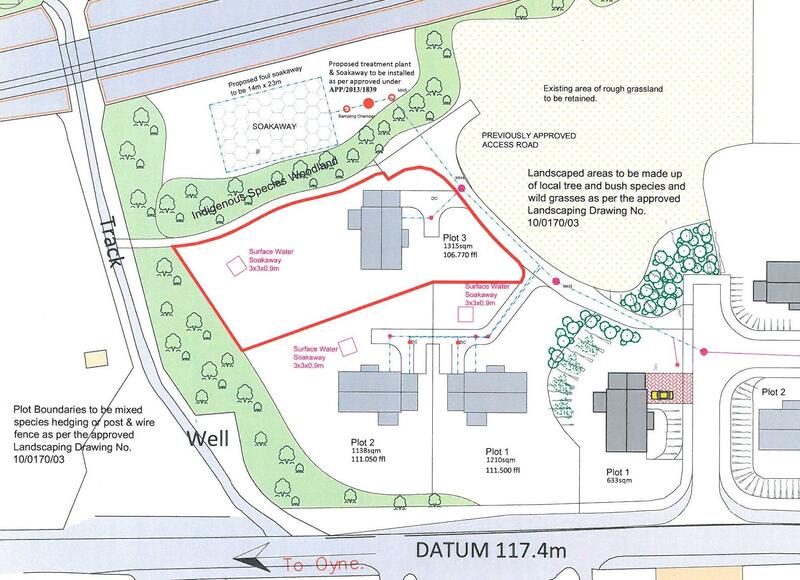 The plots are available as identified on the illustrative plans below. Mains water, electricity and telephone will be available at the development site but not necessarily ex adverso each plot. Drainage is to be to a shared private sewage system. Any purchaser should satisfy themselves as to the location and capacity of any services required. 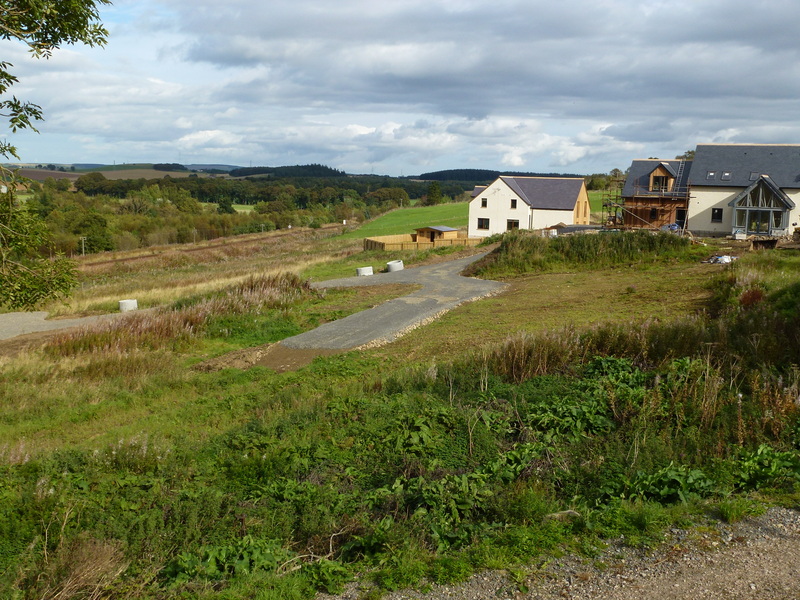 The plans for the properties can be viewed on the Aberdeenshire Councils Planning Departments website at the following application number: G/APP/2012/2970 or are available from the selling agents. The permission was granted on 11 November 2013 with the condition that development shall have begun within three years of that date. Directions Travelling northwards from Inverurie on the A96 road, veer left at the ‘Oyne Fork’ onto the B9002 road. Continue on this road for approximately 1.5 miles and the site is situated on the right hand side, identified by the ‘For Sale’ board. 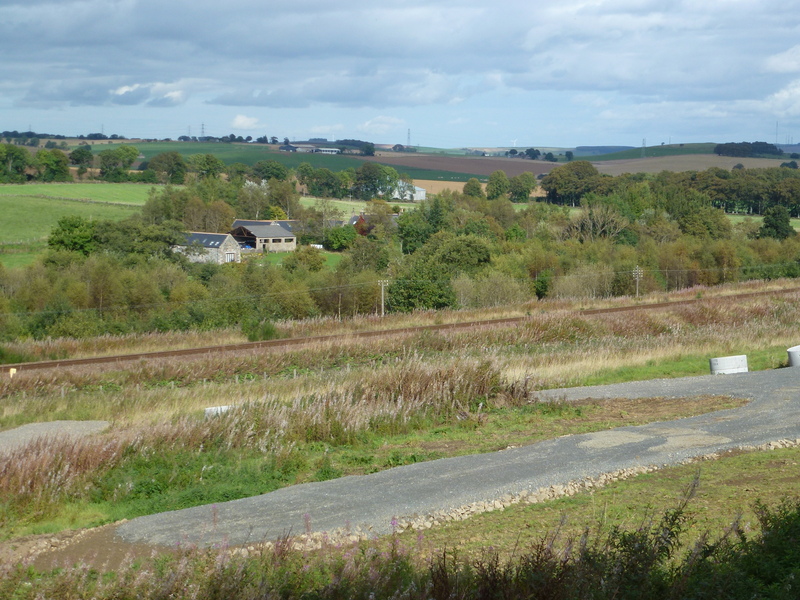 The site is accessible by road, and there is a railway station at Inverurie with the Aberdeen Airport, also within reach, allowing easy travelling throughout the country and beyond. Location Kirkton of Oyne is situated within easy reach of the A96, Aberdeen to Inverness main road, and is in the foothills of the Bennachie mountain range to the south. This is a quaint north-east hamlet which has in recent years expanded. The site offered for sale is adjacent to recently constructed executive dwellings, thus adding to the pleasant nature of the existing development, and ultimately creating an exclusive, modern, development, in a very pleasant position. Inverurie, the nearby market town, which is only 6 miles east, provides all the necessary amenities and services including primary and secondary schooling, leisure and a wide range of retail facilities. The City of Aberdeen is some 24 miles from Kirkton of Oyne and here a wider range of services and amenities are present.